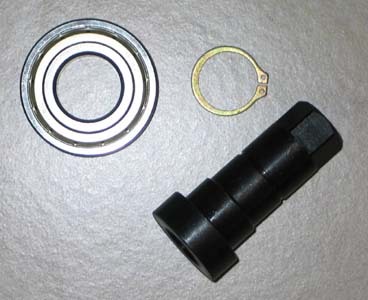 We offer bearings to keep your Junior Dragster running smoothly. Keep your car on the track by replacing the bearings each year. 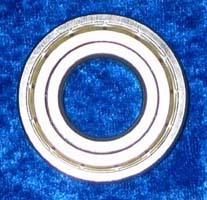 the entire bearing assembly rotates inside the plate. If the wear becomes excessive, the crankshaft can vibrate, which can lead to crankshaft failure. 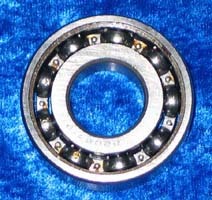 Jackshaft bearings are abused on each run. Replace them as part of your yearly maintenance program. 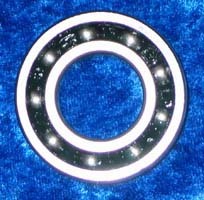 Be sure to replace the seal when you replace the bearing as excessive play in the bearing will damage the seal. The other side of the engine girdle needs love too.